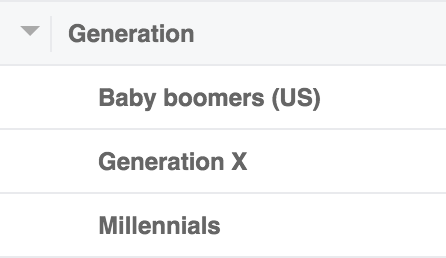 From the Millennials to the Baby boomers, you can target the hottest generation of this era. Reach out to people that have a special day coming in their life. 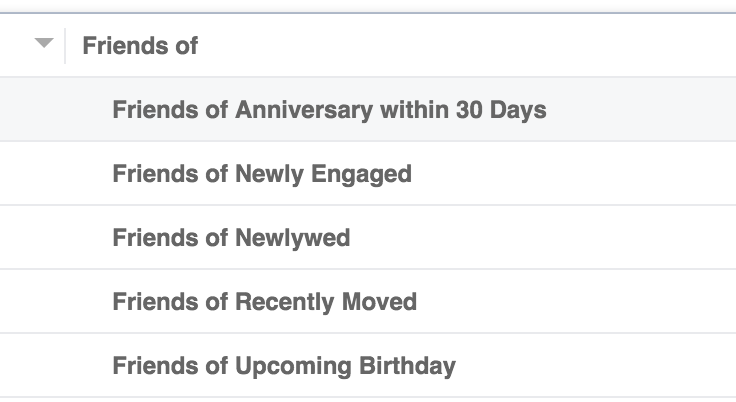 Target people that have an upcoming anniversary. Target Advertisers – Greeting Services, Event Planners, Restaurants, Recreational Activities etc. If your product or service is too high-tech or even the completely opposite, you can target audience on how they adopt technology. 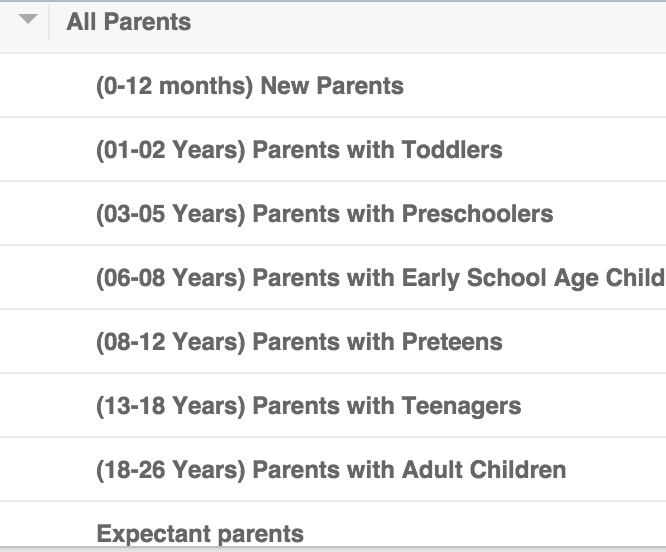 Now you can target your ad to people that live among a family or have separate households. Target Advertisers – Kitchen Accessories, Home Appliances, Furniture, Cleaning Services etc. Sometimes all you need is a small reminder to remember your loved ones anniversaries and special days. Target friends of people that have an upcoming anniversary. Target Advertisers – Greeting Services, Online Gift Stores, ECards, Event Management etc. Facebook is home to hundreds and thousands of small business owners. If you are a banking, insurance or selling an app for small businesses, you can reach a broad number of potential customers. Target Advertisers – Banks, Insurance, Freelancing Platforms, Web Hosting, Marketing Agencies etc. Now using Facebook, you can target each individual that got a job recently. Target Advertisers : Photo Albums, Fashion / Clothing accessories, Online Learning platforms etc. 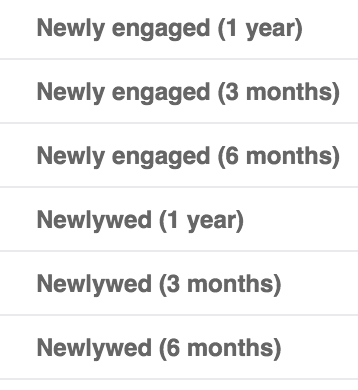 Find and target people that are recently engaged or married and are building their relationships. Target Advertisers – Greeting Services, Online Gift Stores, ECards, Event Management, Restaurants etc. With Facebook Ads, you can target all people that have recently created an event on Facebook. This can be good targeting for businesses that deal in event management service. Target all people that recently returned from travelling. Though there can be many businesses that can target recent travelers but if you are into photo album creation business than you can’t miss out these people. From couples that are just about to become parents to couples that are parenting for last 25 years, you can target all types of parents. Target Advertisers – Doctors, Hospitals, Schools, Colleges, Insurance, Travel Agents etc. The technology targeting for Facebook Ads is vast. You can target ads based on the type of computing devices or consumer electronics they have show interest in. Such as , you can target all people that have shown interest in Ebook Readers. Target Advertisers : Hardware / Software Vendors, Cellphone Vendors, Ecommerce Stores, Online Services etc. Want to segment and reach your audience based on political views? 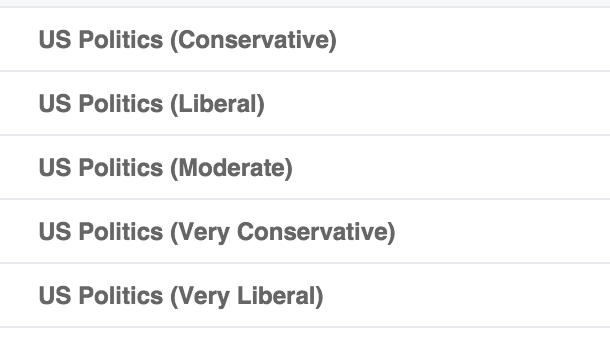 Facebook Ads let you weed out your audience on their political following too. Target Advertisers – Political Parties, Political Organizations, Media Houses etc. This is a must have targeting for businesses that are selling something on Facebook or they have paid apps on Facebook. The Facebook Payments targeting enable you to reach all people that have recently made a payment, are high end of the spending or all people that have used the Facebook Payment Platform at least once. Target Advertisers – Facebook App Developers, Online Retailers, Ecommerce, Facebook Pages selling something etc. If you have a Chrome or Safari Extension, you should really consider targeting your ads on the type of browsers used. This will enable you in laser targeting prospects that use only your preferred browser. Target Advertisers – Event Creators, Event Managers, Webinar Organizers, Trade Shows etc. Do you want to target only Gmail or AOL users? With Facebook Ads Targeting, you can also target audience on the type of email service provider. E-greetings, money transfer, communication, shopping, travel and more similar advertisers can easily target people living abroad and away from their hometown. Target Advertisers – E-Greetings, Online Services, Money Transfer, Travel, Insurance, Immigration Consultants, Restaurants etc. Facebook reports more than half of its users access Facebook via their mobile device. Mobile Device Targeting by Facebook enables you to target audience based on the type of mobile device (brand, OS, features), tablet owners, new smartphone buyers and much more. Target Advertisers – Mobile App Developers, Mobile Accessories Stores, Mobile/ Cellphone Vendors. A person is most likely to engage with your ad or page, if their friend have. Using Facebook Connections Targeting, you can target people that are friends of people that like your page. Target Advertisers – Page Owners and all type of businesses. Similar to browser, you can also drill down to the type of operating system you audience is using. Perfect if you are selling a desktop application. Target Advertisers – Computer Vendors ,Repair and Maintenance Service, Desktop Software Vendors etc. Does your business has potential in global sporting events? Use Facebook Seasonal And Events Targeting to reach audience that has engaged with content related to the mega sporting event. Target Advertisers : Media Companies, Sports Team / Franchises, Event Organizers etc. From frequent travelers, business travelers to people currently travelling, you can target all type of travelers. Target audience that is friends of people using your app. They are most likely to interact with your app, if their friend is already doing it. If you want to create a custom audience out of your connections and their friends, you can use Advance Combinations to create your own segmentation. Target Advertisers – Any business that is looking for a very unique set of people. Of course, there are many options to target… and we’d love to hear your ideas! What’s your favorite and/or more bizarre targeting option you came across? P.S. 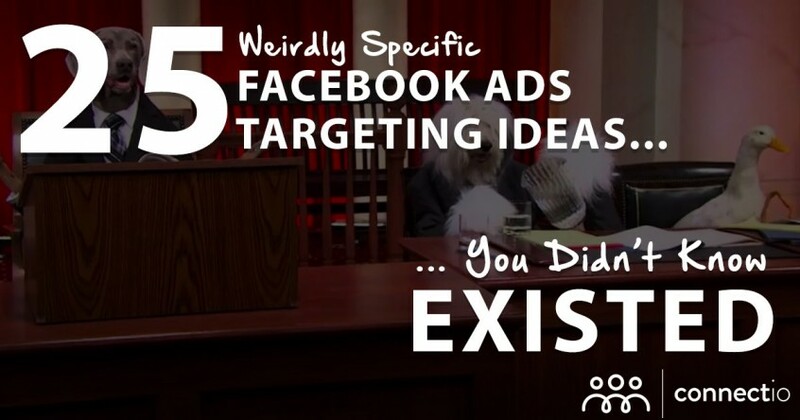 To get the most out of these 25 targeting ideas we’d recommend unlocking & watch the video above – it’ll make all the difference!